OK, you have convinced me even though copper line was used from the factory on this. As for fuel line use, that is a no, no. There are fuel isolators and stainless braided line for this. RAD, does the 2nd picture face out? Is that what you would see looking at the firewall, or the cone shaped end? The large end is on the engine compartment side, and the small end is inside the car. OK, you have convinced me even though copper line was used from the factory on this. Nope, the OEM line was never copper - they were steel or copper-plated steel; any copper oil pressure line you find was replaced at some point. 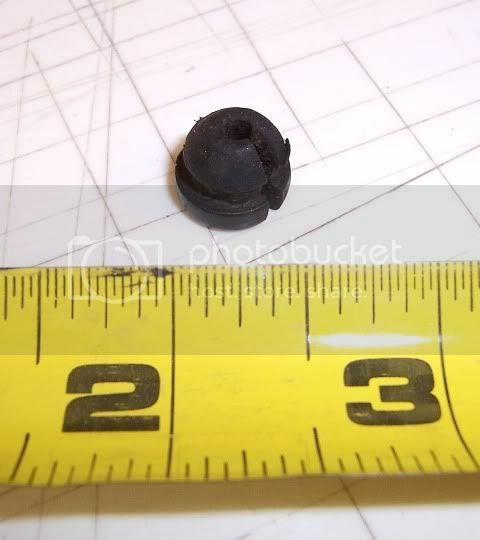 This is the one I came across the other day and thought "that looks a lot like the op firewall grommet." Close, but definitely not the same and a little small. I suppose it could be made to work considering there are a lot more of these out there than the correct ones. From an originality stand point, you have to go with a line that looks like the factory original if you're doing a concours resto. From a safety perspective, steel braded line is what is used for most racing applications today. NHRA will not allow the plastic lines and they don't like the copper lines either. I have a copper oil line in my race car and it's broke several times.......much of this relating to what John Z is saying in this thread. I just kept patching it up over the yerars. I will install braded lines in the new race car that I am building this year. Once that is done, there will be no issues to worry about. 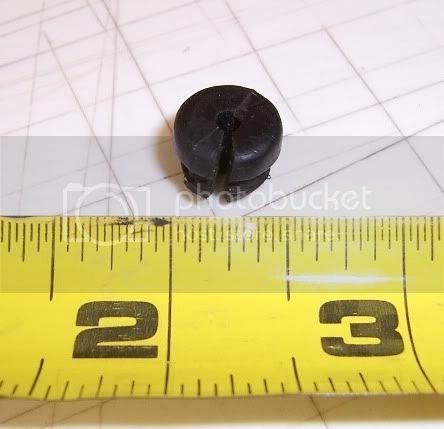 That grommet pictured above looks just like the one used in the distributor housing for the wire lead.